Nintendo has revealed that demand for their aging Wii console and recently-released 3DS portable gaming system has been lower than anticipated. The iconic gaming company managed to move just 1.3 million consoles in the last six months due in part to a lack of new titles. This forced Nintendo to cut sales expectations from 10.5 million units in April to just five million for the full fiscal year ending in March. 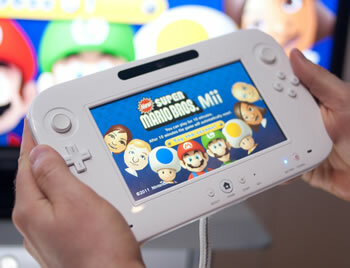 The company’s 3DS handheld faired a bit better as five million units have been sold thus far through September. Nintendo originally hoped to ship around 18.5 million units this year; the forecast has since been reduced to 17.5 million. All of this has had a severe impact on their profit outlook, as one might expect. Nintendo was forced to slash its profit outlook by 70 percent to 6 billion yen ($75 million USD), down from 20 billion yen forecasted earlier this year. Tough international exchange rates were partially to blame but as Ars Technica points out, that wouldn’t have mattered much if their current systems were still selling like they did early on. Nintendo still aims to remain profitable this fiscal year, however, with much of that hope hinging on the success of their upcoming Wii U gaming console. The company has ambitions to sell 5.5 million systems and 24 million software titles through March 2013. The new entertainment system officially goes on sale November 18 starting at $299.99.